The compelling story of Jacob’s Choice is told through the lives of the Fishers, an Old Order Amish family. Enjoy what is only the third “experiential theater” in North America, and the magical effects of wind, rain, smoke, fire, and others that bring the story to life. Experience the struggle Jacob faced between staying true to his Amish heritage and choosing to live in the modern world. Also, witness the terrible religious persecution of the Amish forefathers and their voyage to America nearly 400 years ago. Jacob’s challenges allow visitors a peek inside what it means to be Amish and live in the Amish world of faith and tradition. Enjoy this emotional story of Jacob, his family, and the resilience of the Amish community throughout the years. Jacob’s Choice is a 35-40 minute long show. Shows generally run on the hour from 10:00 am to 5:00 pm. But these times may vary with the season. Check the current operating schedule here. There are a variety of ticket option and packages available. See your ticket price options here. 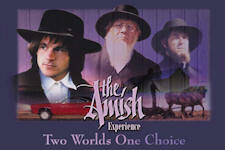 Guided tours are available of the Amish Homestead of the Fisher family in Jacob’s Choice. The home is located right next door to the theater. 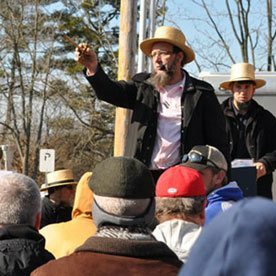 Here you’ll learn much more about Amish life. And your tour guide can answer all your questions. Learn more. Get ticket information here. 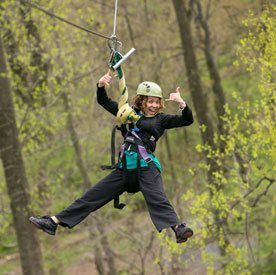 Amish Experience package plans are also available offering discounts for Jacob’s Choice, the Amish Country Homestead, and Amish Country farmland tours.